“Left Shark,” the goofy dancing shark that stole Katy Perry’s half-time show has been exploding all over the web this week. There are devoted Left Shark fans, fan clubs, and memes popping up everywhere. We can’t deny that the adorable shark has some appeal, so we decided to bring Left Shark home. 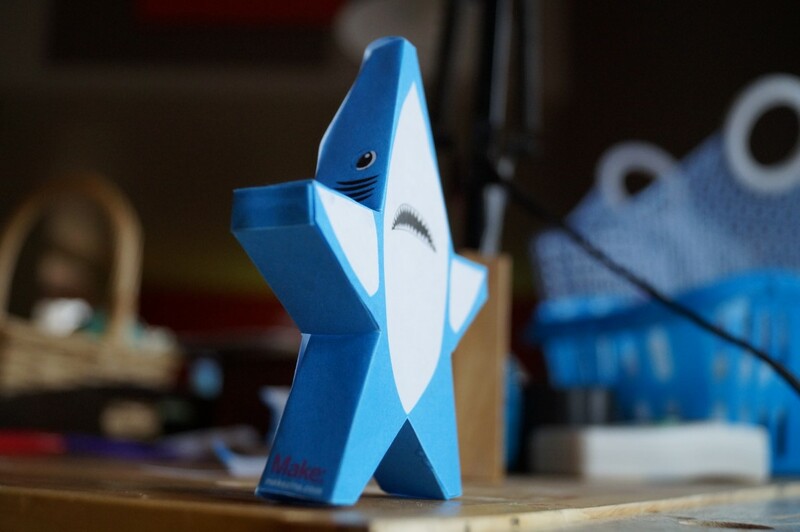 Now you can have Left Shark on your desk with this quick papercraft project. Simply print, cut along the outermost outline, fold, and glue. Here is the template. Click here to get the full-sized version and enjoy!